By D Magazine | 4 years ago It took 15 years to find the Pegasus that once topped the Magnolia Building. We didn't need that long to locate the best this city has to offer. These winners soared above all others this year. By Michael J. Mooney | 4 years ago The celebrated author of The Junction Boys has a thousand stories to tell. But each rollicking tale is tinged with the sad truth that he has a serious drinking problem. Even Dent himself can’t count how many times he’s been arrested. By Peter Simek | 4 years ago Individual collectors enjoy freedoms larger institutions can't. By D Magazine | 4 years ago She wants us to talk about it. By Jackie Veling | 4 years ago Feeding the meter using an app is a wonderful system — until it breaks down. By Laura Kostelny | 4 years ago After almost 25 years of confronting bad guys on Fox Channel 4, she's entered the real estate game. By D Magazine | 4 years ago With so many new members, we take a peek into their minds. By Eric Celeste | 4 years ago Even if you've never heard of Mari Woodlief, you're familiar with her work. By Tim Rogers | 4 years ago Eric Justice turned a deserted Sonic into his new chef-driven burger joint. By Catherine Downes | 4 years ago The restaurant-within-a-restaurant hopes to attract a young, hungry crowd. By Liz Johnstone | 4 years ago A revisit to the breakfast-and-lunch joint. By Eve Hill-Agnus | 4 years ago A great place to begin the day in Trinity Groves. By Tara Nieuwesteeg | 4 years ago Tipping back a few inside “a haven for beer drinkers” in Deep Ellum. By Geoff Johnston | 4 years ago Ours was an undignified exit, I admit. By Jim Dent | 4 years ago An excerpt from his memoir in progress. 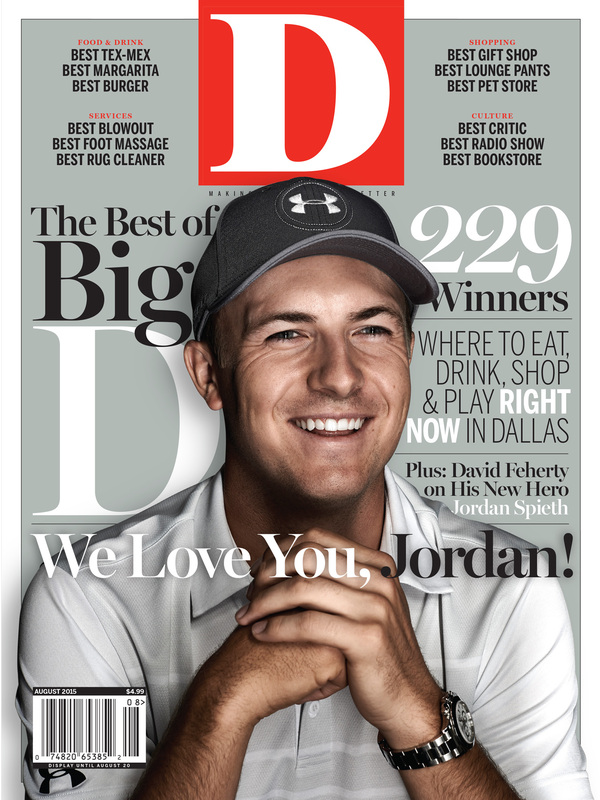 By David Feherty | 4 years ago The best athlete in Dallas really is as good as he seems.